Veg biryani is an aromatic rice dish made by cooking basmati rice with mix veggies, herbs & biryani spices. Traditionally Biryani was made by dum cooking marinated meat with basmati rice & spices. 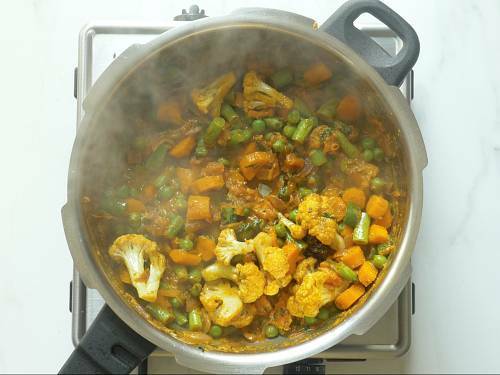 Making a vegetarian version becomes much simpler as the veggies need no marination. 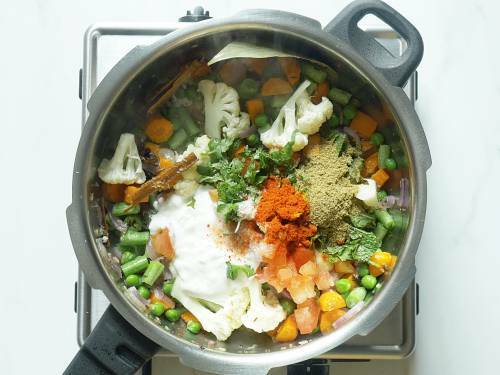 This recipe yields a perfect lightly spiced & aromatic veg biryani loaded with veggies. It only takes 30 minutes to prepare & makes a perfect meal for your hubby or kids lunch box. 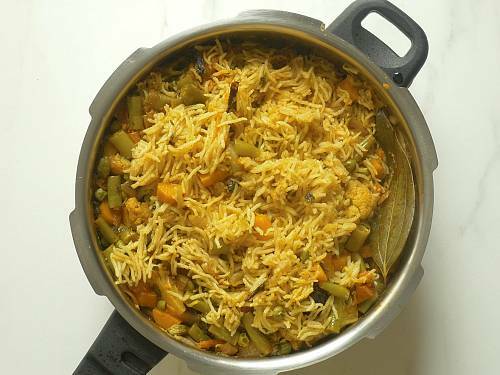 I have made this veg biryani in a pressure cooker but have included instructions for making it in a regular pot as well. 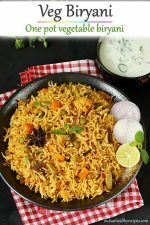 If you have the time and patience to make a elaborate dum biriyani, then you may try this delicious veg dum biryani. There is more preparation work and is time consuming. 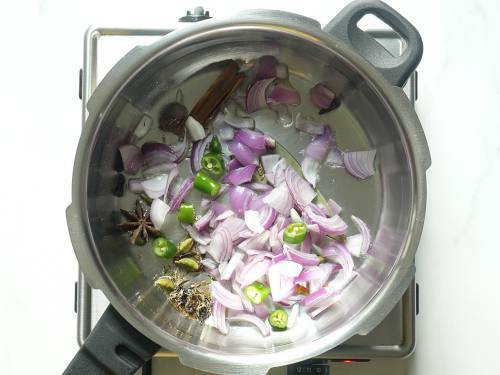 I do make this pressure cooker veg biryani often since it doesn’t require much preparation. It is not time consuming and yet tastes good. 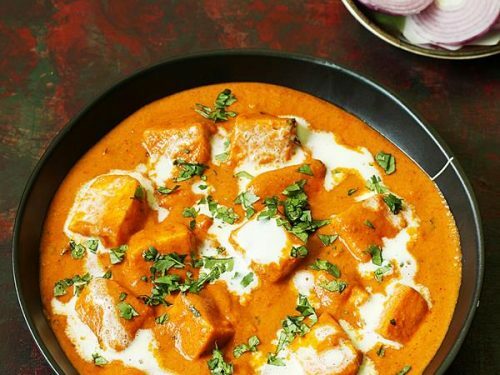 It is flavorful on its own and can be served without any side dishes. But if you prefer you can serve with a simple sherva/ shorba, bagara baingan, mirchi ka salan or raita. 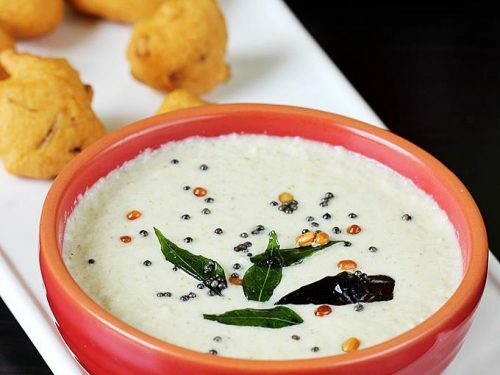 You can find a collection of raita recipes here. veg biryani is an aromatic rice dish made with basmati rice, spices & mixed veggies. This quick recipe will give you a flavorful veg biryani that you can make just under 30 mins. Soak rice for at least 10 minutes. Drain the water and set aside. Chop all the veggies, coriander and mint. 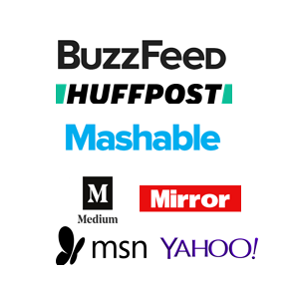 Keep these aside as well. If using cauliflower keep them slightly larger. 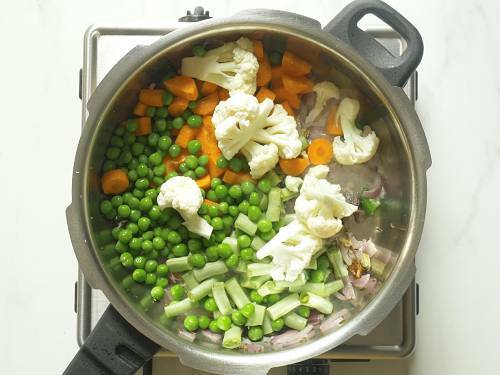 Add oil to a pressure cooker or pot and heat it. Next add bay leaf, star anise, shahi jeera, cloves, cardamoms & cinnamon. Saute for 1 to 2 mins. Add chopped or sliced onions and green chilies. Fry them stirring often until the onions turn golden. Next add ginger garlic paste and saute until the raw smell has gone off. Add all the chopped vegetables and fry for about 2 minutes. Next add tomatoes, salt, curd, coriander leaves, mint leaves,red chilli powder and biryani masala. Mix all of these and fry on a high flame for 2 to 3 mins. The tomatoes should break down completely. Drain the water from the rice and spread it in a layer evenly over the veggies. Measure and pour 2 ½ water or coconut milk to a separate bowl. Add salt and lemon juice. Mix well and taste the water. It has to be slightly salty. If needed add more. If making veg biryani in a pot then pour 2 ¾ cups water. 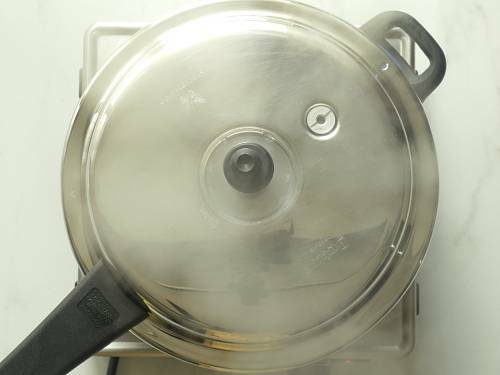 For pressure cooking: Cover the cooker and pressure cook for 1 whistle on a medium high flame.Turn off the stove. For al dente non mushy veg biryani, I release the pressure after 1 to 2 mins using a wooden spatula. When the pressure goes down, open the lid and fluff up veg biryani with a fork. 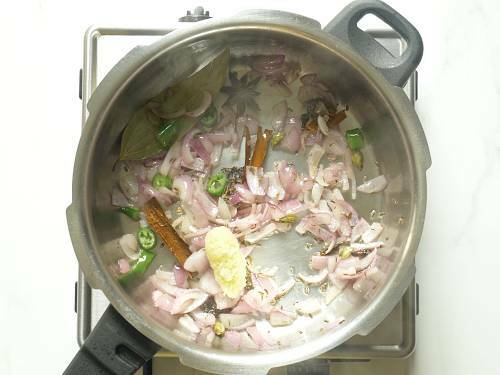 If cooking in a pot, cook covered on a low flame until the water is absorbed and the veg biryani is cooked fully. Turn off the stove. 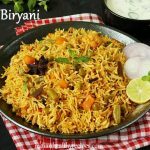 Serve veg biryani with raita or salan. You can pour 1 tbsp ghee, 1 pinch of saffron soaked in 2 tbsps milk and 2 tbsps of fried onions after pouring water to the cooker or pot. If rice is not cooked, just sprinkle some water and cover with a loose lid and cook for few more mins. If it becomes mushy, reduce the qty of water the next time you cook. You can use store bought biryani masala powder. Using too much of masala powder can make your veg biryani bitter. So adjust the powder according to your taste. 1. Wash rice until water runs clear. Soak it till you begin to cook. 2. Heat a pressure cooker with oil. 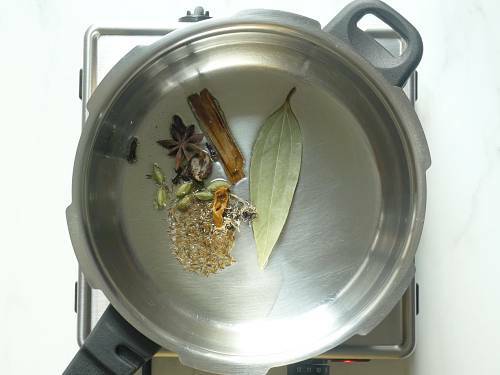 Add spices – cinnamon, star anise, cardamom, cloves, mace, bay leaf and shahi jeera. Saute for one to two minutes until they begin to crackle. I also add little stone flower. 3. Add onions and green chilies. Fry stirring often until the onions turn golden. 4. Next add ginger garlic paste. Saute this until the raw smell goes off. 5. Transfer the veggies. Saute on a medium to high flame for 2 to 3 minutes. I have used potato, peas, onions, carrots, cauliflower and french beans. You can also add soya chunks if you like. To add soya chunks, soak them in hot water until soft. Squeeze up the water. Rinse a few times and squeeze them completely. Then add here. 6. Add mint leaves, coriander leaves, red chilli powder, biryani masala powder, 1 small finely chopped tomato and yogurt. I suggest using a good biriyani masala powder. You can also check this Biryani masala powder recipe. 7. Fry again for another 3 minutes on a slightly high flame until the tomatoes break down. The mixture turns aromatic. 8. Add the drained rice. Spread it evenly. 9. Pour water to a separate bowl and add salt. Mix and taste the water. It has to be slightly salty. If needed add more. Pour the salted water around the edges of the pot. Level the rice. This method gives you layered veg biryani. OR you can also just pour the water and mix everything and cook. Optional : You can also add a tbsp of ghee, sprinkle some fried onions and then 1 pinch of saffron soaked in 2 tbsps milk. 10. Cover the pressure cooker. Cook on a medium high flame for one whistle. I manually release the pressure with the help of a wooden spoon after 1 to 2 mins. 11. Open the lid. Lastly fluff up the veg biryani with a fork gently and add lemon juice if desired. Do not stir it vigorously otherwise biryani will turn mushy. 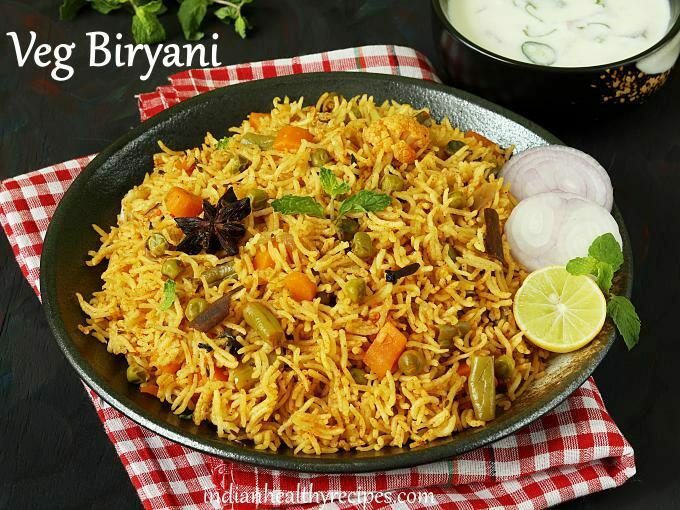 Serve veg biryani with raita. Awesome dish I made the same step by step as shown in the website and it turned out to be great. 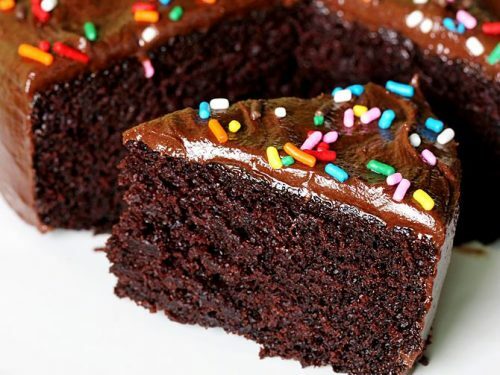 Thank you Swathi to share the recipe. I guess you can cook 1 kg rice but not very sure. I have never tried this in a instant pot. 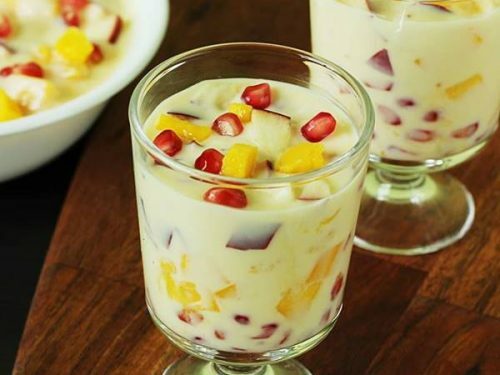 Since there is no yogurt used in this recipe, i guess it should work the same way you make your white rice with the same amount of water,time and mode. 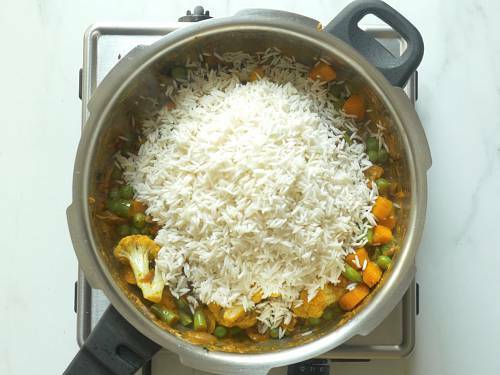 If you were cooking your rice mushy, then probably you will need to reduce little water. Veggies also let out some moisture. Hope this helps. You can check this 100 kids lunch box recipes. The important thing is amount of water with compare to rice and time of cooking in flame. Other wise it not became dry type biryani and wet. Swathi mam. I ve tried your briyani recpy. Really came well.. am happy… I want different dishes for lunch. Any idea? Shall we add garam masala, coriander masala along with briyani masala ? Swasthi, Thanks a ton for sharing this ! I was in search of a quick, no-fuss, biryani recipe that didnt compromise on taste and this one rocks. My family & I loved it. Definitly a keeper. I followed the exact style mentioned by you foe the preparation of biryani at home, it turned out to be the best dish I have ever made in my life, My son loved it, I really appreciate your effort and time spend to educate a layman like us. Thanks a ton swati. This is the first time i had prepared the vegetable briyani. I has gave to my collegues. They all are appreciated. Your receipies are very useful to shine my future life. 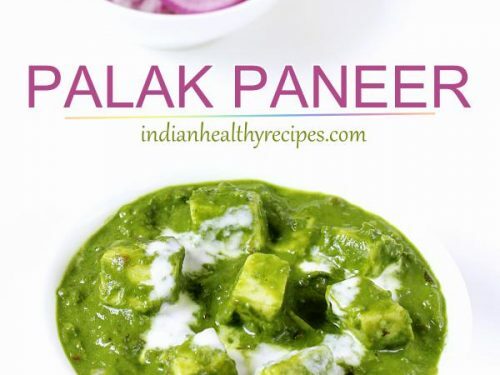 Great recipe and yummy too…thank u for making cooking easy for us…. I am a big biryani fan.. I am trying one by one of your recipes. Yesterday, I tried this and it came very well. Thanks for posting . And one other of my favourites is chicken dry roast. It came really superb. 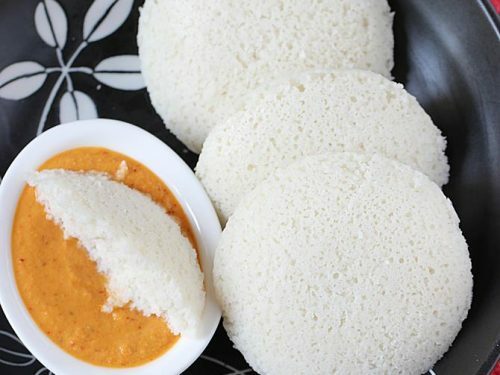 For making Buryan which basamati rice to be used secifically? You can use aged basmati rice, any brand.